A hard-driving set from the great Eddie Palmieri – and a record that's maybe his strongest salsa effort in years, even though it's still filled with lots of the edgey, jazzy touches he's also brought to his best material in recent decades! 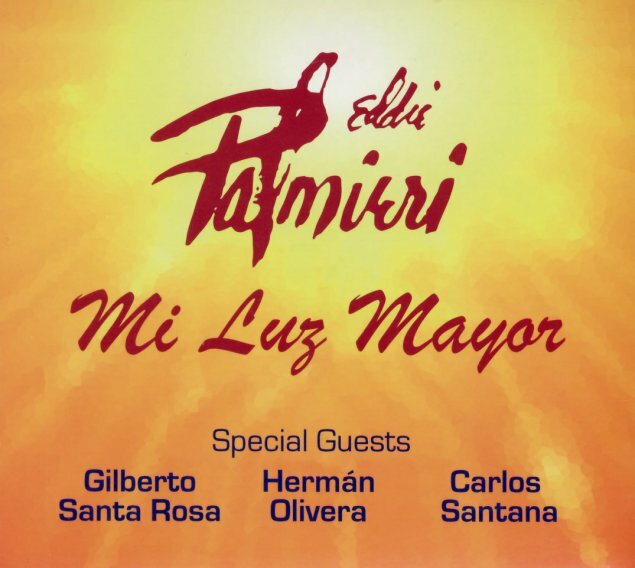 The album's got a very strong lead vocal presence – both from Herman Olivera and Gilberto Santa Rosa, both of whom join Eddie's group and provide a strong focus for the ensemble's jazzy performances – with an especially strong sax section that includes work from Craig Handy, Ralph Moore, Gary Smulyan, and Ronnie Cuber! Carlos Santana serves up a few guitar parts on the record – and the group also features work from Jimmy Bosch and Conrad Herwig on trombones, and Brian Lynch and Jonathan Powell on trumpets – amidst plenty of percussion, and strong lead piano from Palmieri. Titles include "Mi Congo", "Chica Ni Lambo", "Abarriba Cumbiaremos", "Sun Sun Babae", "Yo Soy Mulato", "Tremendo Cumban", "Sonando Con Puerto Rico", and "El Resbaloso". © 1996-2019, Dusty Groove, Inc.